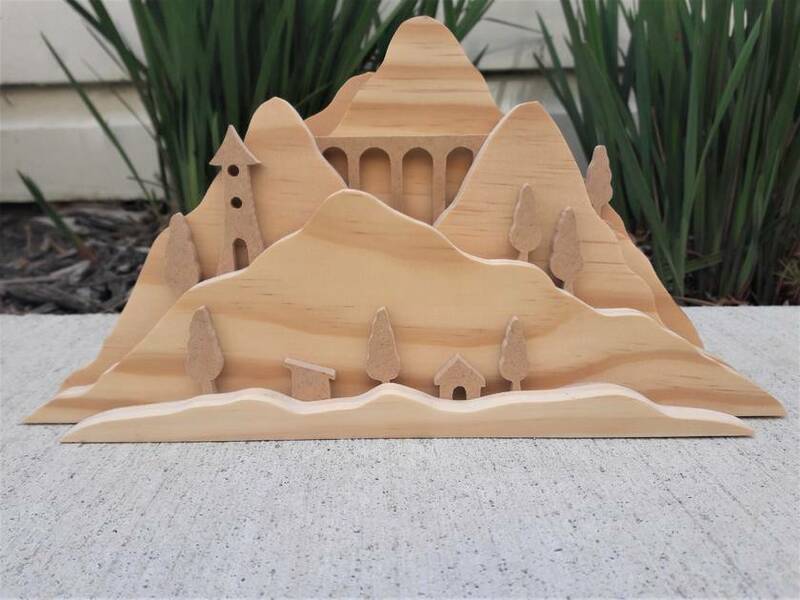 "Layer-scape" ornaments are made from layers of pine and mdf or hardboard creating a landscape to adorn a mantel, bookshelf or even a window sill. Each "Layer-scape" contains layers which were designed, hand-cut with a scroll saw and then assembled together to create an ornament which stands 130mm high by 250mm wide. We also have variations on this design, so please check out our other listings. Contact redpine to enquire about payment or shipping options.